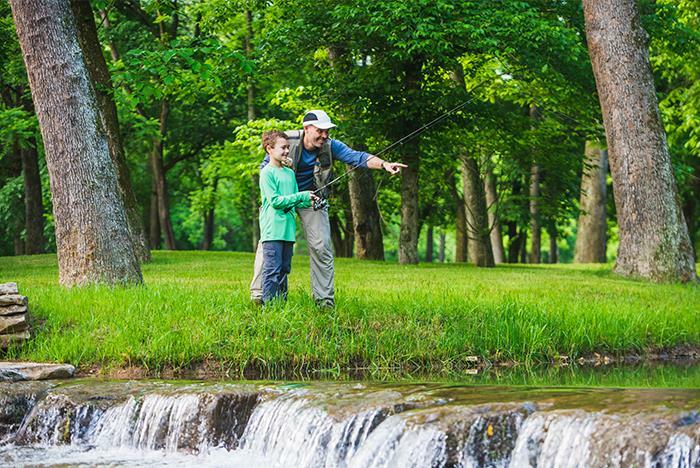 Calling all who love the great outdoors! 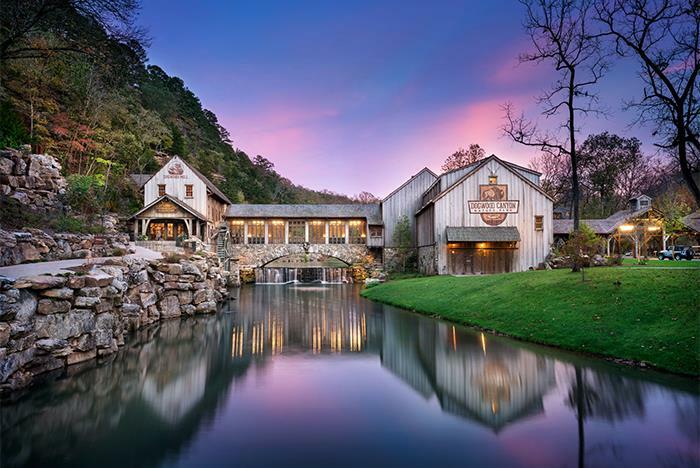 Dogwood Canyon Nature Park boasts 10,000 acres of Ozark Mountain landscape, drawing adventurers from all over the country to explore the flowing waterfalls, ancient burial caves, hiking and walking trails, pristine trout streams, and more. 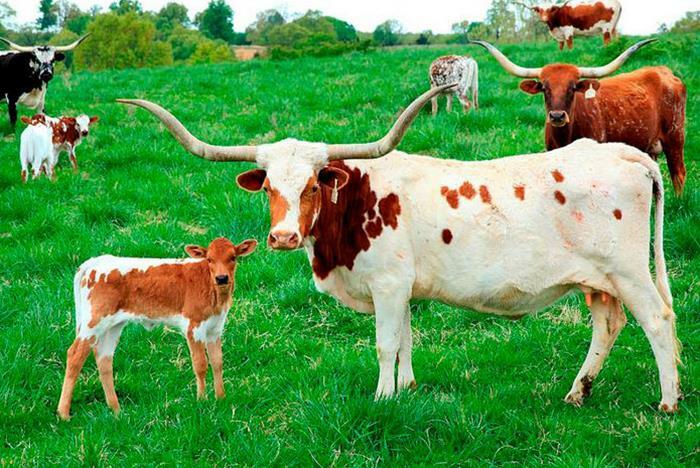 From biking to horseback riding tours and everything in between, there’s an adventure for everyone available at the park. 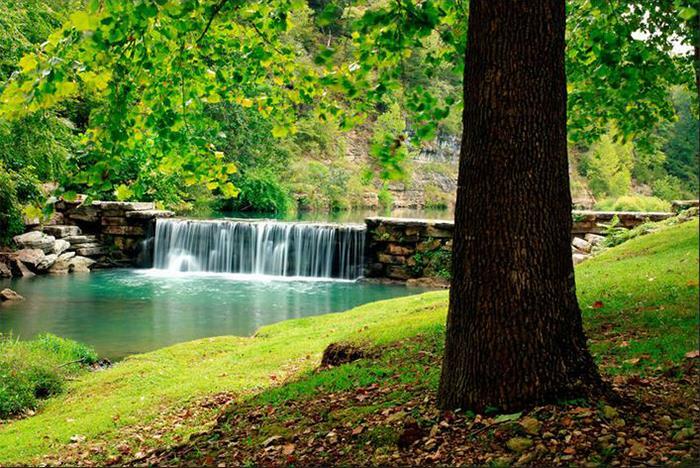 More than 10,000 acres of Ozark Mountain land to explore. 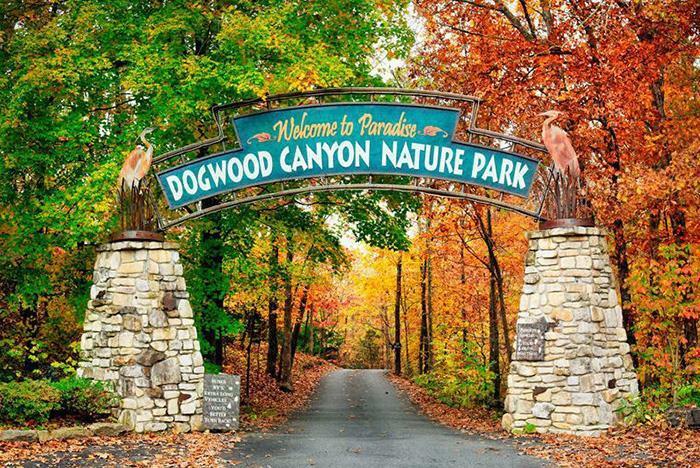 Owned and managed by the Dogwood Canyon Foundation, a non-profit organization dedicated to protecting the canyon’s natural plant and wildlife environment. Dogs on leashes are allowed at an additional fee. Age and physical restrictions may apply to particular activities. 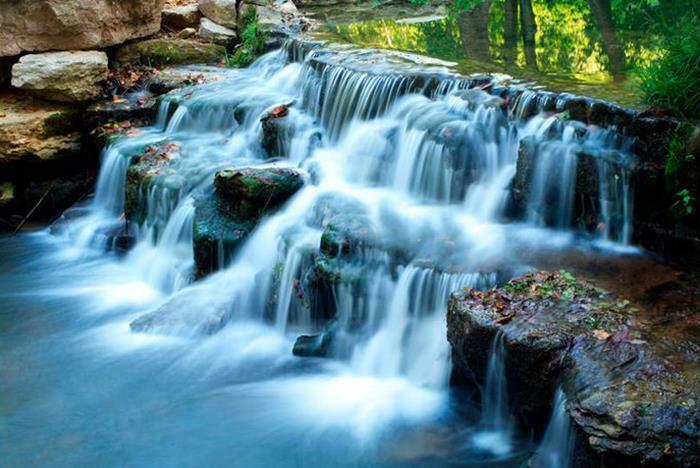 Dogwood Canyon Nature Park is a one-of-a-kind experience for nature lovers and adventure seekers of all ages. 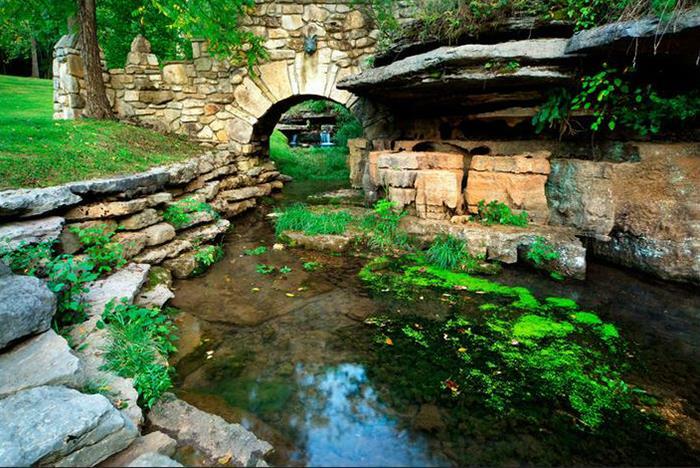 Covering 10,000 acres of pristine Ozark Mountain landscape, the park has miles of crystal-clear trout streams, cascading waterfalls, ancient burial caves, unique hand-built bridges, and bottomless, blue-green pools. 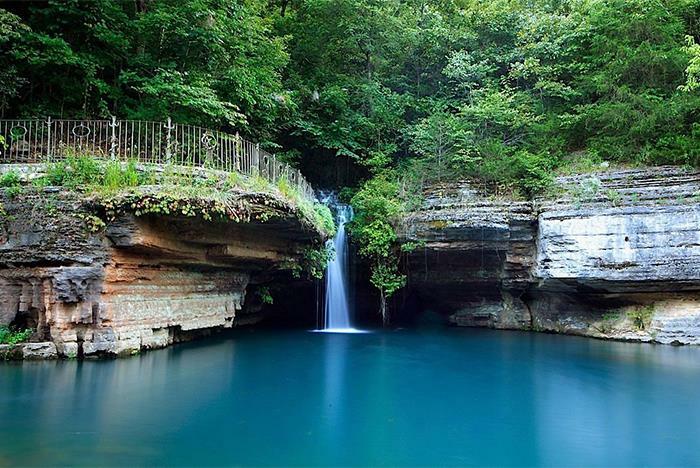 Dogwood Canyon Nature Park stretches across the Missouri-Arkansas border, just south of Branson, MO. 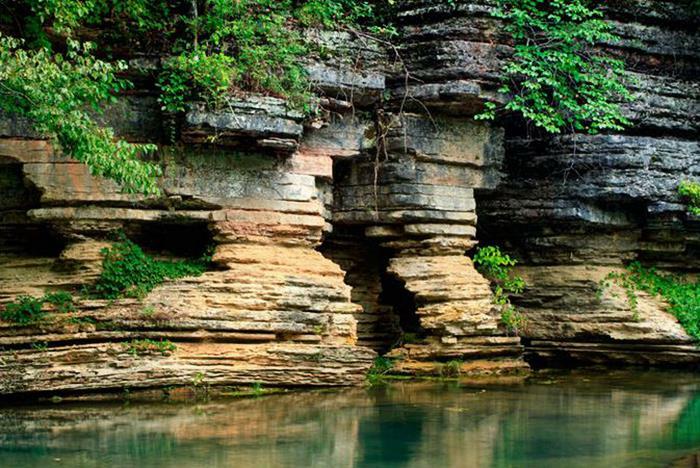 The entrance is located on Missouri Highway 86, approximately 16 miles west of U.S. Highway 65. 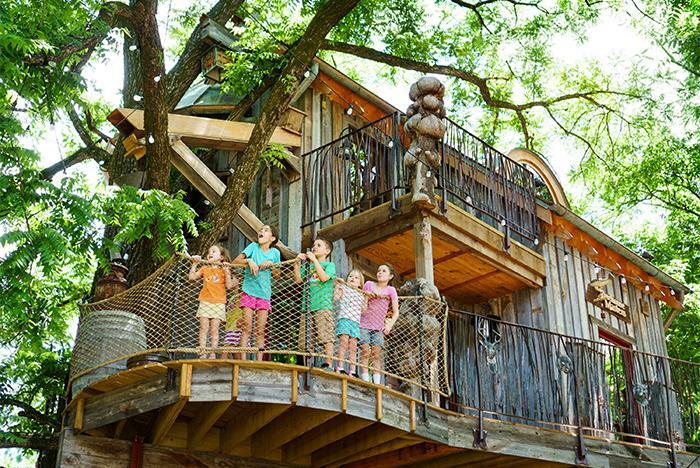 • Grants you access to The Dogwood Mill & Artifact Display, Canyon Grill Restaurant, Treehouse (as seen on Animal Planet’s Treehouse Masters television series), Nature & Conservation Center, plus, the ½ mile Hickory Ridge Trail. 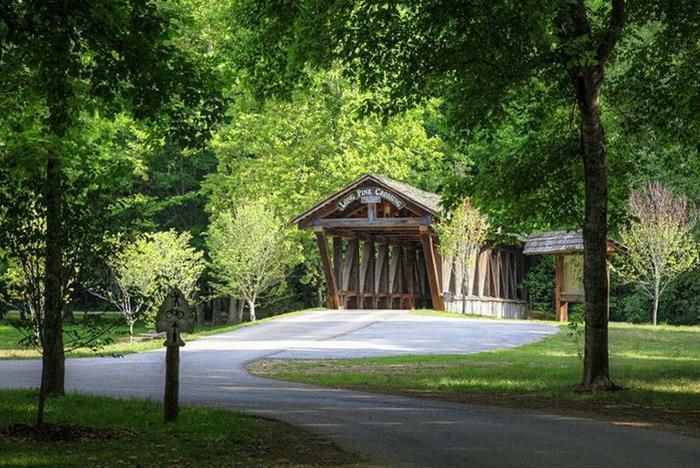 • Walking & Hiking on 6.5 miles of paved paths and 9 miles of trails. 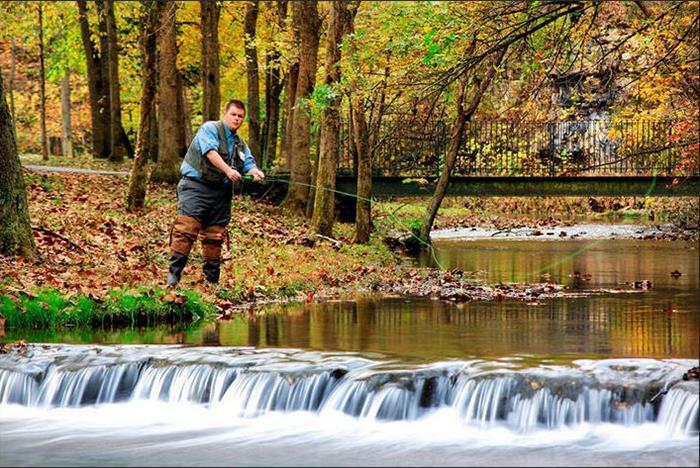 to include adventures like Biking, Fishing, Horseback Riding, Segway Tours, Wildlife Tram Tours, and Private Tours. 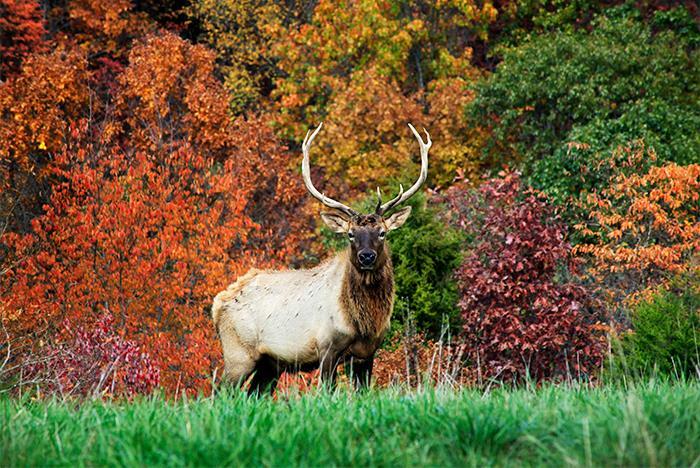 Dogwood Canyon Nature Park Lampe, MO & Johnny Morris' Wonders of Wildlife Springfield, MO. Dogwood Canyon Nature Park & the Wonders of Wildlife National Museum and Aquarium & are located in the Ozarks about 50 miles apart. 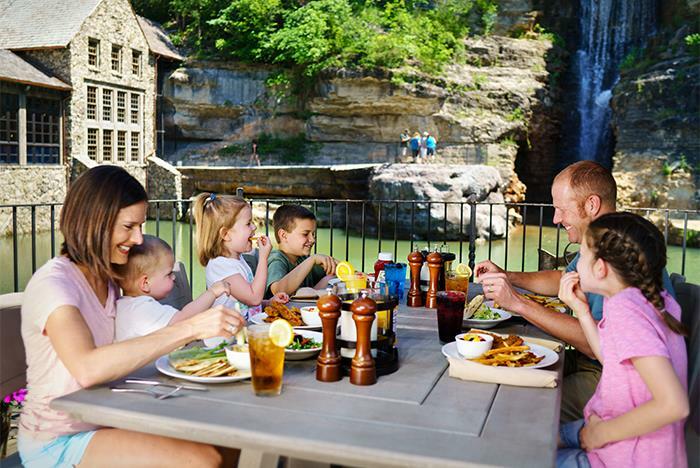 The Dogwood Canyon & Wonders of Wildlife ticket includes entry to Dogwood Canyon Nature Park, welcoming you to the Mill, Canyon Grill Restaurant, Artifact Display, Nature & Conservation Center, Treehouse Masters Treehouse, miles of paved and rugged trails - perfect for walking, hiking, or biking (bike and kiddie-cart rental available or bring your own), various seasonal outdoor/conservation-focused activities, and exciting fee-based Adventures! AND Wonders of Wildlife's Aquarium Adventure & Wildlife Galleries in Springfield, Missouri are a short 1-hour drive north of the canyon, in the heart of Springfield. 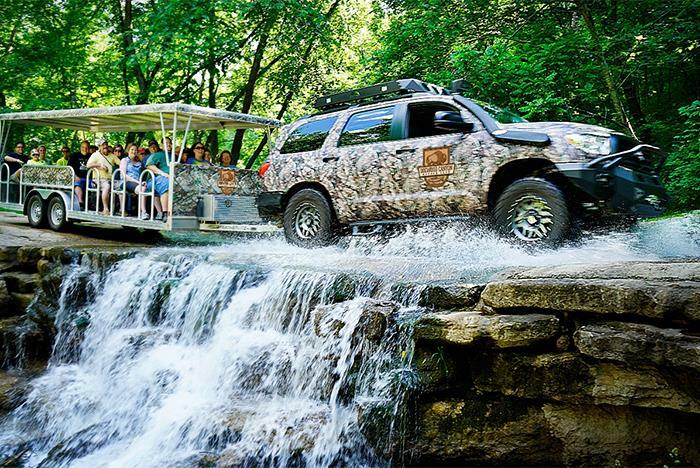 You’ll find a massive 350,000 square foot structure filled with a mile of trail passing by over 800 species of live fish, mammals, reptiles, amphibians, and birds. Plus, you'll be transported to the wildest places on earth with an inspirational journey around the world celebrating people who hunt, fish and act as stewards of the land and water.